This stunning black and white study of Malvern Hanley Rd. Station was provided by Steve Widdowson (the photographer is unknown). The road bridge at the north end of the station has been removed along with the station itself which closed in December 1952. Vic Mitchell & Keith Smith in their book Birmingham to Gloucester (including Ashchurch to Great Malvern) state that this photograph was taken in 1951, but they too have been unable to identify the photographer. 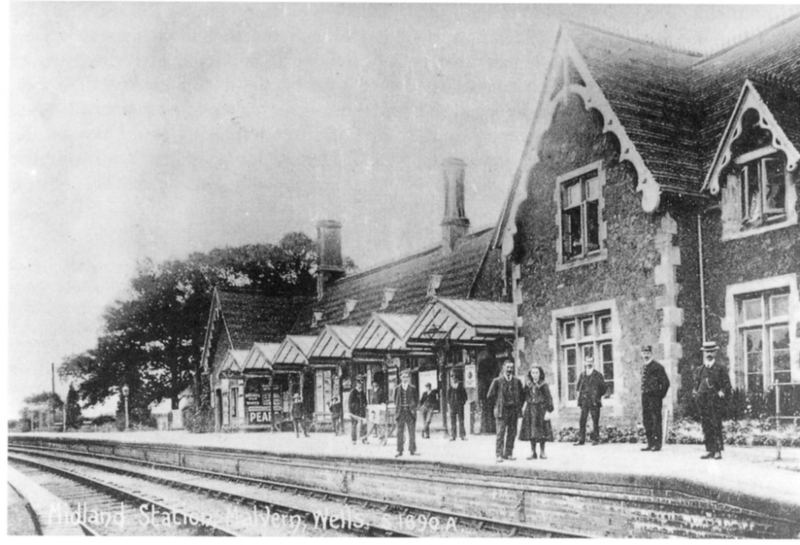 This old black and white picture postcard states on the front that it was taken in the 1890s and shows the station at its best with a group of railway officials and passengers posing for the photographer. (MIAC collection). 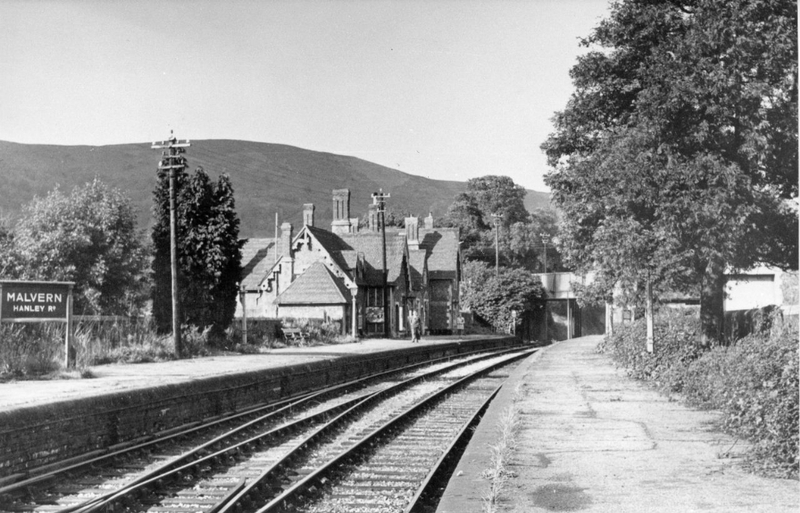 This photograph which was taken by Robert Pritchard shows the approximate site of the former Midland Railway Station at Hanley Road in Malvern Wells. The two prominent trees might well be the same ones that are on the platform in the 1951 photograph.